The paper is based on the work of researchers from Harvard, MIT, and the CSIR-Center for Cellular and Molecular Biology in Hyderabad, India. They conducted what they call the “most comprehensive sampling of Indian genetic variation to date,” using samples collected from 571 individuals belonging to 73 “well-defined ethno-linguistic groups.” The data allowed the authors to trace not just the genetic mixture between these groups but how long ago this mixture occurred. Similar genetic studies of Pakistanis published in the American Journal of Human Genetics have found very diverse ancestral origins of the people in the country. These range from Balochis with origins in Aleppo (modern Syria) to Brahuis who are indigenous Dravidian, and Baltis of Sino-Tibetan ancestry to Pashtuns of Jewish or Central Asian origins. These genetic studies offer strong rebuttal of Hindu Nationalists' claims of "racial purity" of Hindus. Genetics confirm that most Indians (and Pakistanis) are, in fact, people of mixed or foreign ancestry regardless of their faith. Basically a bad day for right wing loonies on both sides of the border! Oh so you mean most Pakistanis aren't descendents of conquring Arabs,Persians and Turks!! And Gasp! Genetically related to North Indian Hindus!! Anon: "Oh so you mean most Pakistanis aren't descendents of conquring Arabs,Persians and Turks!!" And most share the same DNA as "conquring Arabs,Persians and Turks" as do North Indian Hindus. Not one single person in India is indigenous. The first human being set foot in India about 70,000 to 100,000 years ago. Everybody-- no exceptions-- is a foreigner. Same is true of Pakistan. HWJ: "Not one single person in India is indigenous." If you go back far enough, about 50,000-100,000 BC, the only place which can claim indigenous population is Africa. Scientists believe humans fanned out into the world from their original home in Africa. ^^RH: "If you go back far enough, about 50,000-100,000 BC, the only place which can claim indigenous population is Africa"
The very idea of who is "indigenous" and who is a "foreigner" in Europe, Asia, Americas and Australia is merely a matter of time of arrival. Is the first person to arrive "indigenous"? Or is he merely the first "foreigner"? It all depends on how you look at it. And all Indians, one way or another, are a mixture of these 5 distinct human strains. Is she ANI? Or is she ASI? Clearly, she does not fit into either of these two categories. Nor can she be explained by a mixture of these two categories. To explain her, we need to introduce more degrees of freedom into the model. This is why we need 5 race/strain model mentioned above. Humans share 98% of DNA with chimpanzees. Thats not what i'm saying. Certain genetic markers like R1a1 are found extensively in North India/Pakistan which is also found in Russia and Eastern Europe though largely absent in Arabs and Turks and western europeans. Anon: "Certain genetic markers like R1a1 are found extensively in North India/Pakistan which is also found in Russia and Eastern Europe though largely absent in Arabs and Turks and western europeans." The Harvard genetics study does not entirely agree with your statement. It has concluded that Ancestral North Indians (ANIs) also migrated from the Middle East, the Caucasus, and Europe. In fact,majority of the Pakistanis are classified as Caucasoids, while there are sizable minorities of Capoids and Mongoloids... major ethnic groups in Pakistan are Punjabis (who are mixed), Pushtuns (who are majority Caucasians), Sindhis (who are mixed) and Baluch (who are majority Caucasians). Capoid groups include Brahui, while Hazara, Tajik and Uzbek groups are Mongoloids. "...the most safe place for Muslims today is Modi's Gujarat.."
I thought Muslims were all living in fear in Gujarat? Please explain all this..
HWJ: "...the most safe place for Muslims today is Modi's Gujarat.."
That tells you how unsafe Muslims are in India when Mushrif believe "...the most safe place for Muslims today is Modi's Gujarat.."
That's a tragic commentary on the state of Muslims in India today. What is that IQ map doing in this article? What has that got to do with whether Indians are indigenous or not? HWJ: "What is that IQ map doing in this article? What has that got to do with whether Indians are indigenous or not? Please explain yourself." It's based on data from Richard Lynn whose data suggests there is correlation between race and intelligence. As an example, his article, "Skin color and intelligence in African Americans," 2002, Population and Environment, concludes that lightness of skin color in African-Americans is positively correlated with IQ, which he claims derives from the higher proportion of Caucasian admixture. Islam is the second most practiced religion in India, next to Hinduism. It is still unclear whether the spread of Islam in India has been only a cultural transformation or is associated with detectable levels of gene flow. To estimate the contribution of West Asian and Arabian admixture to Indian Muslims, we assessed genetic variation in mtDNA, Y-chromosomal and LCT/MCM6 markers in 472, 431 and 476 samples, respectively, representing six Muslim communities from different geographical regions of India. We found that most of the Indian Muslim populations received their major genetic input from geographically close non-Muslim populations. However, low levels of likely sub-Saharan African, Arabian and West Asian admixture were also observed among Indian Muslims in the form of L0a2a2 mtDNA and E1b1b1a and J*(xJ2) Y-chromosomal lineages. The distinction between Iranian and Arabian sources was difficult to make with mtDNA and the Y chromosome, as the estimates were highly correlated because of similar gene pool compositions in the sources. In contrast, the LCT/MCM6 locus, which shows a clear distinction between the two sources, enabled us to rule out significant gene flow from Arabia. Overall, our results support a model according to which the spread of Islam in India was predominantly cultural conversion associated with minor but still detectable levels of gene flow from outside, primarily from Iran and Central Asia, rather than directly from the Arabian Peninsula. The continuing debate regarding the origins of people inhabiting ancient Mesopotamia during the region’s long history led the authors of a new report published in the Open Access journal PLoS ONE to attempt an isolation and analysis of mtDNA sequences from the area. Ancient DNA methodology was applied to analyse sequences extracted from freshly unearthed remains (teeth) of 4 individuals deeply deposited in the slightly alkaline soil of Tell Ashara (ancient Terqa) and Tell Masaikh (ancient Kar-Assurnasirpal) – Syrian archaeological sites, both in the middle Euphrates valley. Research was also carried out by another team (Sołtysiak et al 2013) examining fifty-nine dental non-metric traits on a sample of teeth from 350 human skeletons excavated at three sites in the lower middle Euphrates valley. This showed a stable population until after the Mongolian invasion which resulted in a large depopulation of northern Mesopotamia in the 13th century CE. The final major change occurred during the 17th century with Bedouin tribes arriving from the Arabian Peninsula. Although it is not possible with DNA analysis to reconstruct the details of an individual’s life, it can provide insights into his/her ancestry. In ideal conditions, the fossil sequences are isolated from remains unearthed in permafrost or temperate regions and only in rare circumstances from skeletal material found in a subtropical arid climate, as it is suspected that the potential is highly limited in such cases. Thus, only scarce datasets from the Mesopotamia region are available, but using ancient DNA methodology, the team were able to confirm the possibility of isolating amplifiable sequences from the skeletons under just such challenging conditions. In the case of one of the studied specimens the researchers analysed both mtDNA and nuDNA sequences. Three others were analysed only to confirm their origin on the basis of HVR-I sequence. Studied remains were excavated at two archaeological sites in the middle Euphrates valley and dated between the Early Bronze Age and the Late Roman period (between 2500 BCE and 500 CE). The studied individuals carried mtDNA haplotypes corresponding to the M4b1, M49 and/or M61 haplogroups, which are believed to have arisen in the area of the Indian subcontinent during the Upper Palaeolithic and are absent in people living today in Syria. However, these same haplogroups are present in people inhabiting today’s Tibet, Himalayas, India and Pakistan. The suggestion is that these analysed remains from Mesopotamia belonged to people with a genetic affinity to the Indian subcontinent as the distribution of identified ancient haplotypes indicates a solid link with populations from the region of South Asia-Tibet (Trans-Himalaya). This may represent either that the individuals are descendants of migrants from much earlier times (Palaeolithic), spreading the clades of the macrohaplogroup M throughout Eurasia and founding regional Mesopotamian groups like that of Terqa, or they are from merchants moving along trade routes passing near or through the region. The obtained data has enriched the modest database of Mesopotamian ancient DNA and suggests a possible genetic link of the region with the Indian subcontinent in the past. There are no traces in the modern Syrian population, which is explainable as the dental study showed, by later depopulation and recolonisation, but opens up the possibilities of further work to examine the routes of both populations and civilisations. DNA was analysed from 364 skeletons unearthed in Germany - an important crossroads for prehistoric cultures. "This is the largest and most detailed genetic time series of Europe yet created, allowing us to establish a complete genetic chronology," said co-author Dr Wolfgang Haak of the Australian Centre for DNA (ACAD) in Adelaide. "Focusing on this small but highly important geographic region meant we could generate a gapless record, and directly observe genetic changes in 'real-time' from 7,500 to 3,500 years ago, from the earliest farmers to the early Bronze Age." Dr Haak and his colleagues analysed DNA extracted from the teeth and bones of well-preserved remains from the Mittelelbe-Saale region of Germany. They focused on mitochondrial DNA (mtDNA) - the genetic information in the cell's "batteries". MtDNA is passed down from a mother to her children, allowing geneticists to probe the maternal histories of populations. Geneticists recognise a variety of mitochondrial DNA "clans", or lineages, in human populations. And each of these lineages has its own distinct history. The team's results show that indigenous hunter-gatherers in Central Europe were edged out by incomers from Anatolia (modern Turkey) some 7,500 years ago. A majority of the hunters belonged to the maternal clan known as haplogroup U, whilst the farmers carried a selection of genetic lineages characteristic of the Near East. "In some ways agriculture was an obvious and easy way to go in the Fertile Crescent. But once you take it out of there, it involves an abrupt shift in lifestyle," said Dr Spencer Wells, director of the Genographic Project and an Explorer-in-Residence at National Geographic, adding that early agricultural groups were living "on the edge". "They were basically taking crops that had evolved over millions of years in the Middle East and were adapted to that dry-wet pattern of seasonality and moving them into an area that was recently de-glaciated. ...Gregoire Metais, a French paleontologist, talked about the investigation into biodiversity in the early Paleocene era. The fact that the Indian continent broke off from Africa and "drifted" in the ocean for eons allowed very specific groups of flora and fauna to develop in isolation – a great opportunity for paleontologists who want to test the “Indus Raft” theory first developed by Krause and Maas in 1990. The French palaeontologists are studying those same flora and fauna that Henry Thomas Blanford, a 19th century British geologist, explored around Ranikot in the Kirthar Range of southern Sindh. Metais, who is also a part of the Jean-Loup Welcomme group that discovered the bones of the Baluchitherium in Dera Bugti, described the beauty of the Khadro Shale, dark grey and green in colour, with gypsum thinly intercalated between it, and Bara Sandstone, inlaid with clay and kaolinite and white sand. He shared the discovery of seven-meter long snakes, crocodile, fish, and snake vertebrae, and a huge turtle shell 63 million years old: all hard science that looked like art and sounded like poetry. A paper by the eminent archeologist Jean-Francois Jarringe described the amazing civilisation of Mehrgarh in Balochistan from 8000 to 500 BCE and described 35 years of excavations conducted there and in Pirak. Mehrgarh was part of the Neolithic era when people lived in mud-brick houses, surrounded by pine, juniper, poplar, elm, oak, cereals, graminaceous, reeds and moss growing around them in a humid, dense forest. Skeletons lay in graves, legs flexed and frames oriented east to west, surrounded by pendants and jewellery made of lapis lazuli and turquoise, the skeletons of goats and sheep, as well as tools and pottery. Jarringe and his team also discovered traces of cotton and copper, the earliest use of both in the entire Indian subcontinent. The later period of Mehgarh, saw the emergence of painted pottery, clay-fired and glazed, gold beads, lost-wax copper objects, and terracotta artifacts. Dr. Jarringe found links between Mehrgarh and the Indus Civilization based on their water installations for sanitation and drainage. But it was at Pirak that the agricultural revolution of the world's first irrigated agriculture system, as well as the first crops of rice and jhovar, were discovered, and figurines depicting camels, horses and horse riders. Dr. Aurore Didier and Dr. Roland Besenal told us about 20 years of archeological work in Makran, on the Baloch coast, also called Gedrosia by the armies of Alexander the Great who crossed there on their way back to Greece after their defeat in India. In the excavations in Shahi Tump, archeologists discovered circular hut basements and quadrangular buildings, and decorated pottery that has also been found in south eastern Iran. Most fascinating was the emergence of a “cemetery culture” where bodies were coated in red ochre and wrapped in reed mats for burial. The Rig Veda is the first document indicative of a turning point that subsequently changed the entire course of history in the subcontinent, paving the way for what the latter came to be known as the Indian civilization. Hindu fundamentalists beholden to Hindutva (Hinduness) spin a phony counter narrative claiming that the Aryans were the original inhabitants of the subcontinent spreading to Europe from here as their counterparts here propagate that the Muslims of Pakistan came from Arabia, Iran and Central Asia. Hindu fundamentalists in their religion, driven by nationalistic zeal, try to illegitimately appropriate what was indigenous to the Indus valley prior to the arrival of the Arya, while the Muslims fundamentalists in their puritanical streak try to illegitimately own what is foreign. For ideological considerations the former take pride in proving themselves to be locals i.e., sons of the soil, while the latter boast of their self glory as foreigners i.e., successful invaders. Both distort history. Sense of history is what we lack in the subcontinent whatever faith we may belong to. Let us begin with the word Sanskrit which means ‘composed’, ‘perfect’ or ‘synthesized’. The language was called Sanskrit because it was formulated in the grammar books by grammarians. In a contrast with it, other languages or dialects were called Prakrits which means the ‘naturals’. Sanskrit was not a natural language spoken by the people. It was also different from the Vedic used in the Vedas, the earliest version of the language of the Ayra. Why did such a need arise to construct a language which was removed from the common speech of the masses? What were the historical conditions which compelled the Aryan elite to forge a linguistic edifice, artificial and detached? To put it simply, it was Aryan invasions which created a long-lasting atmosphere of hostility between the victors and the vanquished, forcing the former to carve out exclusive and sanitized spaces in the domains of religion, politics and culture. Historical conditions in the wake of Aryan victory necessitated a new division of different sections of society to consolidate the gains of ascendancy to the advantage of the new settlers. What struck the newcomers as something quite different was the colour of the locals, their language and of course, their religion. That is why we hear the mentioning of ‘Varna’ the colour. We all know why Ice age happens on earth every 11K years .. (due to oscillation of earth's axis from 23.8 to 21 degrees). Actually, according to DNA test, Pashtuns have more Dravidian than Sindhis, and that Sindhis are exclusive to Sindh, and West Bengali Brahmins have R1a levels of over 72 percent, thats the highest on the planet for R1a levels. Actually North Indians are descendants of multiple Central Asian tribes themselves, depending on their location and caste, they descend from different haplogroups each R2, R1a1, J1, H, and other groups. lots of rapes of invaders. 80% of Indians have Australoid blood, 20% have raped ancestors by turks. Majority of Indians are dark with round face and broad noses, weather has nothing to do with changing all that, pure genetics. If hot climate was responsible then Singapore or natives of brazil and Indonesia would be be black and look like Tamils. Indians due to their caste system don't want to accept their outside raped origins due to stigma attatched. hence this entire circus myth of hindu nationalism and Hindu gods creating hindus inside india. "unlike numerous other emerging nations, particularly in Africa, the Idea of Pakistan has repeatedly trumped fissiparous tendencies, especially since Pakistan assumed its present form in 1971. And its institutions have withstood repeated buffeting that almost anywhere elsewhere would have resulted in the State crumbling. Despite numerous dire forecasts of imminently proving to be a "failed state", Pakistan has survived, bouncing back every now and then as a recognizable democracy with a popularly elected civilian government, the military in the wings but politics very much centre-stage, linguistic and regional groups pulling and pushing, sectarian factions murdering each other, but the Government of Pakistan remaining in charge, and the military stepping in to rescue the nation from chaos every time Pakistan appeared on the knife's edge. The disintegration of Pakistan has been predicted often enough, most passionately now that internally-generated terrorism and externally sponsored religious extremism are consistently taking on the state to the point that the army is so engaged in full-time and full-scale operations in the north-west of the country bordering Afghanistan that some 40,000 lives have been lost in the battle against fanaticism and insurgency. "And yet," as was said on a more famous occasion, "it works!" Pakistan and her people keep coming back, resolutely defeating sustained political, armed and terrorist attempts to break down the country and undermine its ideological foundations. That is what Jaffrelot calls its "resilience". That resilience is not recognized in Modi's India. That is what leads the Rathores and the Parrikars to make statements that find a certain resonance in anti-Pakistan circles in India but dangerously leverage the impact on Pakistani public opinion of anti-India circles in Pakistan. The Parrikars and the Saeeds feed on each other. It is essential that both be overcome. But even as there are saner voices in India than Rathore's, so also are there saner - much saner - voices in Pakistan than Hafiz Saeed's. Many Indians would prefer a Pakistan overflowing with Saeeds to keep their bile flowing. So would many Pakistanis prefer an India with the Rathores overflowing to keep the bile flowing. At eight times Pakistan's size, we can flex our muscles like the bully on the school play field. But Pakistan's resilience ensures that all that emerges from Parrikar and Rathore are empty words. India is no more able than Pakistan is to destroy the other country"
India is not about few % of Brahmins. We are a large group out side Brahmanism (>90%). Our tradition is mixture of everything in world. Fall of India is fall of world and humanity. Don't forget the fact that, there used to be large number of non-Muslims in Pakistan before partition. but Pakistan has <2% today. On other hand, Majority of India has been peaceful. Only few north Indian states were violent. And those states were also brought under control by Indian leaders, large number of Muslims still leave there. And again In 1971, Pakistan throw out ~10 Million from east pakistan (http://oppenheimer.mcgill.ca/India-and-its-1971-Refugee-Problem). Again, Indians were been peaceful. But still unlike Pakistan, Indians chose secular leaders till recently. Corruption in country lead to electing alternate government. If India develops in bjp rule and talks about peace/unity, it is possible that they will go much stronger. Indians are disparate for development. You can disagree and push Indians to hate pakistan more. that is what RSS want. Bottom line: Indians don't want India to become like pakistan . I mean, blind religious country which labels people based on one or two books. ...The Rig-Veda says that the self-destruction of Purush, the primal man, brought human society into existence. The whole society was divided into four Varnas; the Brahmins, the Kashatrias, the Vaishias and Shudras. The Brahmins came out of Purusha’s head, the Kashatrias from his arms, the Vaishias from his thighs and Shudras from his feet. Different organs of Purush determined the metaphysically sanctioned social status of different Varnas in an inflexible hierarchy. Thus the Brahmins were declared the religious/intellectual leaders, the Kashtrias the warriors/rulers, the Vaishias the farmers/artisans/craftsmen, and Shudras the labourers/menial workers. This stratification initially was an outcome of racial and ethnic discrimination that ensued from the fair-skinned Aryans’ victory over the dark-skinned Harappa people, the ancient inhabitants of the Indus valley. Varna (Varn) means colour. The social division was colour-based imposed by the victorious fair-skinned to their advantage. The victors became the masters and the vanquished the slaves. In the Punjabi language we still use ‘Van’ with letter R dropped for colour. ‘Vano Van’ means of different colours. ‘Van Savann’ means colour diversity, and ‘kanak Vanna’ means the one whose skin colour is like that of wheat. Historical evidence suggests that not all the locals were branded as Shudras. Class factor also played a role in determining the status of local persons as to which Varna they would belong. The wealthy and powerful Dravidians could join the club of upper Varnas on certain conditions by offering high value presents and a share of their wealth. At the other end of spectrum Aryans who happened to live at socio-economic fringes were pushed into Shudras’ enclosure. It surprises you when you come across the dark-skinned Brahmins and Kashtrias (some of the Rajputs for example), and the fair-skinned sweepers among the descendants of Shudras. The myth of racial purity proves hollow if examined empirically and critically. Then there were large groups which remained outside the Aryan fold. They were the wretched of the earth, lower than Shudras in status and were generally known as untouchables. Since the Brahmins had pathologically been obsessed with the idea of ritual cleanliness, they declared all those who did supposedly polluting jobs, untouchables. The untouchables of today are descendants of Shudras and pre-Aryan indigenous communities who after being subjugated were forced to adopt the so-called polluting professions. This was in fact a politico-religious ploy to retain the power of the dominant Varnas. Varna system was based on the distinctions of colour. But later on the Aryan elite, religious and secular, evolved caste system which stemmed from Varna division of society. Caste system (Jati Dharma) within the loose framework of Varnas gradually re-aligned different social groups along the lines of their supposed descent and professions. And most menial professions were assigned to the untouchables who were not allowed to touch the higher castes. They in fact were required to stand at a distance while talking to their upper caste overlords. Dalits and Adivasi, the perennial flotsam of Indian society, form the bulk of the untouchables in the present-day India. Though culturally Indians, they are not Hindus if viewed from the perspective of upper castes. Their ways of eating, dressing and worshiping are different from those of upper castes which set them apart as people with a distinct identity, older than Brahminic hocus-pocus flaunted as a marker of Indian identity. The ANI and ASI theory is correct, but your conclusion that the ANIs arrived from Central Asia and Caucasia, etc is absolutely incorrect. India (or South Asia, if you prefer that) has had no infusion of foreign genes for 60,000 years (American Journal of Human Genetics 2011). Further, American Journal of Human Genetics in 2006 published an article confirming that there has been no infusion of any major Central Asian genes for 10,000 years. Whatever your ideological point to prove is, please don't bend data to suit it. In your article about Sanskrit originating in Syria, you forget that Syria was part of India. There were many kings who rule the whole world like King Vikramaditya. The King Vikramaditya inscription was found on a gold dish hung inside the Kaaba shrine in Mecca, proving beyond doubt that the Arabian Peninsula formed a part of his Indian Empire. (Ref: page 315 of a volume known as Sayar-ul-Okul treasured in the Makhtab-e-Sultania library in Istanbul, Turkey). King Vikrama's preachers had succeeded in spreading the Vedic Hindu sacred scriptures in Arabia and Arabs were once followers of the Indian Vedic way of life. So there is no doubt that India was the first place where Sanskrit was recorded as Syria was part of India. About 150 scientists assembled at Harvard on Tuesday for an off-the-record, no-media-allowed discussion of how to create, from scratch, an intact genome, including the genetic code of a human being. The idea is to go beyond "reading" genetic material to actively "writing" it, George Church, a Harvard Medical School researcher who helped organized the event, told The Post in an interview Friday morning. Scientists can synthesize DNA chemically, and these techniques could ultimately lead to complete genomes that could be implanted in cells for research purposes. No one should panic just yet about mad scientists running amok: The researchers are not talking about making synthetic human beings. But the gathering drew a rebuke from two academics who heard about the event and didn't think it should have been held behind closed doors. In a world where human reproduction has already become a competitive marketplace, with eggs, sperm and embryos carrying a price, it is easy to make up far stranger uses of human genome synthesis capacities. Would it be OK, for example, to sequence and then synthesize Einstein’s genome? If so how many Einstein genomes should be made and installed in cells, and who would get to make them? Taking a step back, just because something becomes possible, how should we approach determining if it is ethical to pursue? Meanwhile, Marcy Darnovsky, executive director of the Berkeley, Calif.-based Center for Genetics and Society, a politically progressive organization that has had a skeptical view of biotechnology, issued a statement Friday criticizing the Harvard gathering: "If these reports are accurate, the meeting looks like a move to privatize the current conversation about heritable genetic modification." Church told The Post that the meeting was originally supposed to be open. The organizers had planned to stream video of the event, and invite numerous journalists, he said. But they had also hoped to pair the event with an article, written by many scientists, that had submitted to a major scientific journal. The article still hasn't been published and the organizers decided to keep the event private, Church said. He said the organizers wanted to avoid being accused of "science by press release" without a peer-reviewed article backing them up. Something tells us this isn't the last time we're going to be talking about synthetic humanoids. "The paper, titled "Genetic Evidence for Recent Population Mixture in India" confirms that North Indians ancestors started migrating to India from outside thousands of years before the advent of Islam." such relatedness might be detected)"
To conclude that this article proves migration is incorrect; this article is about genetic admixture rather than migration. After stating this caveat, the authors go on to discuss a number of other possibilities that may explain their findings. While the migration may have occurred several millennia earlier, that is not what this article is about. Most of us know exotic new veggies and grains like kale and quinoa are "imported" but even ordinary staples like potato, onion, tomato and chilli came from elsewhere, reports Subodh Varma. A study of 177 countries by scientists from the International Center of Tropical Agriculture has found that in India, more than a third of all food items derived from plants -grains, vegetables, fruits, spices, oils, sugar etc. -originated and developed elsewhere, and came to this subcontinent by trade or migration over centuries. In terms of calorific value, such `foreign' origin foods make up 45 per cent of the national food production. It's not just India. At the global level, 66 per cent of calories consumed are derived from foreign origin foods on an average as was 71 per cent of production. Onions and wheat have their origins in West Asia, potatoes and tomatoes came from South America, while mustard seeds came from the Mediterranean. Likewise, chillies came to India from Central America, while garlic and apples found their way from Central Asia. @turd, you are literally an idiot if you believe that and his have more Dravidian than pashtuns do. Pashtuns barely have any Dravidian. They have 11% ANI, which is majority west asian component with little south indian in it. Most caucasoids are mixed with SI to a slight degree anyways. Further studies prove that the commonality of north Indian and European genes have to have happened before 12000 years. Which means that the Vedic people were natural inhabitants of pak/india. No right wing agenda. This is the truth. Kindly also publish the advanced time research. Roma gypsies in Britain and Europe are descended from "dalits" or low caste "untouchables" who migrated from the Indian sub-continent 1,400 years ago, a genetic study has suggested. The study, which was published this month in the journal Nature, examined Y chromosomes in DNA samples to compare the genetic signatures of European Roma men with those of thousands of Indians from throughout the sub-continent. Scientists from Hyderabad's Centre for Cellular and Molecular Biology collaborated with colleagues in Estonia and Switzerland to compare more than 10,000 samples, including from members of 214 different Indian ethnic groups. They were analysed to match a South Asian Y chromosome type known as "haplogroup H1a1a-M82", which passes down male bloodlines, with samples from Roma men in Europe. While there were matches with samples from men throughout the Indian sub-continent, the closest match and the least genetic variation occurred with those from north-west India. When the researchers overlaid the closest matches onto a genetic map of India, the highest density was in areas dominated by India's "doma", "scheduled tribes and castes" – the low caste dalits or untouchables who suffer widespread and generational discrimination and usually do society's dirtiest jobs. The researchers believe the descendants of today's Roma gypsies in Europe began their westward exodus first to fight in wars in what is today Punjab between 1001 and 1026 on the promise of a promotion in caste status. Later, they left to flee the fall of Hindu kingdoms in what is today Pakistan, with many setting off from near Gilgit. The exodus to North Africa and Europe suggested they may have been early refugees from the spread of Islam into the Indian sub-continent. Dr Kivisild said the study had provided "evidence for the further interpretation of history of what kind of processes were triggerimg these movements". Gypsy groups in Britain trace their own roots back first to Egypt – where they believe the name "gypsy" comes from – and beyond that to India. Joseph Jones of the Gypsy Council said early photographs show British gypsies with Indian facial features and styles of dress until 100 years ago. He said the new study was helpful because it had scientifically confirmed the Indian origin of Britain and Europe's Roma community and that their common heritage should be accepted now by newer Indian communities in Britain. "We're not outcasts here. I don't care if we are associated with dalits – I don't live in a community where caste exists. I do feel a bit Indian, I've always felt an affinity with Indians," he said. There is no Indian race or Pakistani race for that matter. It is a diverse collection of ethnicities but the particular combination that results is uniquely Indian in culture and dress and sports and movies and cuisine. Viewed against that backdrop, Pakistanis are almost identical to Indians, especially the offspring of those who migrated west. We should all get DNA tested. I intend to do that one of these days! I suspect they will find some heavy dose of Mongolian genes. Ahmad: "There is no Indian race or Pakistani race for that matter. It is a diverse collection of ethnicities but the particular combination that results is uniquely Indian in culture and dress and sports and movies and cuisine. " Northern Indians and Pakistanis have much in common. Their culture is often described as Indo-Persian with string Persian influence. However, Pakistanis also have a lot in common with West Asians. 1. 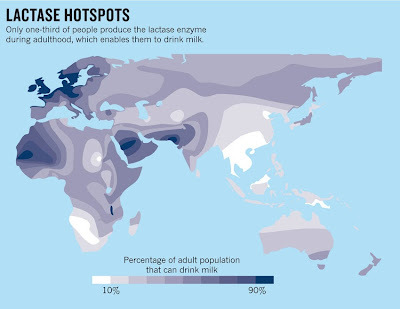 Unlike most Indians, most Pakistanis are not lactose intolerant. It's seen in about 3X per capita milk consumption in Pakistan than in India. 2. Pakistanis' trophic level is among the highest in the world. A measure of where people and animals sit in the food chain, Pakistani's trophic level is comparable to that of Northern Europeans. 3. Pakistanis' wheat consumption is 2X higher than Indians....Indians eat a lot more rice instead in most of the eastern and southern parts of India. 4. Pakistanis' IQ levels are several points higher than Indians, according to data published in top peer-reviewed psychology journals. One doesn’t know if it was designed that way, but the study addresses the three fundamental questions that have bedevilled Indian archaeologists, anthropologists and historians for decades. These are also the questions that hold the key to understanding how the Indian population is put together, what its basic components are, and how migrations at different points of time may have shaped it. Question One: Were the beginnings of agriculture in north-western India helped along by the spread of agriculturists from western Asia, or did western Asian crops such as barley and wheat spread to south Asia without the accompaniment of migration? Question Two: Who built and populated the Indus Valley civilisation? Were they migrants from western Asia? Or were they indigenous hunter-gatherers who had transitioned to agriculture and then urban settlements? Or were they Vedic Aryans? Question Three: Was there a significant migration of pastoralists from the central Asian Steppe to south Asia who brought with them Indo-European language and culture and who called themselves Aryans? If there was, when did that happen? The study’s response to each question is reasoned and clear in a manner that none of those questions have ever been answered before. Let’s start with the last question first, about the ‘Aryan’ migration. According to the study, there was indeed southward migration of pastoralists from the south-eastern Steppe – first towards southern central Asian regions of today’s Turkmenistan, Uzbekistan and Tajikistan between 2,300 and 1,500 BCE, and then towards South Asia throughout the second millennium BCE (2,000 to 1,000 BCE). On their route, they impacted the Bactria-Margiana Archaeological Complex (BMAC) that thrived between 2,300 and 1,700 BCE, but mostly bypassed it to move further down towards South Asia. There they mixed with the existing people of the Indus Valley, thus creating one of the two main sources of population in India today: Ancestral North Indians or ANI, the other being Ancestral South Indians, or ASI. Among the ancient DNA from BMAC sites – as well as among the DNA from the eastern Iranian site of Shahr-i-Sokhta – there were some surprising finds with major consequences: Three outlier individuals dated to between 3,100 to 2,200 BC, with an ancestry profile similar to ancient DNA samples from the Swat Prehistoric Grave Culture of Pakistan almost a thousand years later (1,200 to 800 BCE). The BMAC, Shahr-i-Sokhta and the Swat Valley samples were all distinctive in having 14 to 42 percent ancestry from South Asian hunter-gatherers. The Indus Valley civilisation was known to have had contacts with both BMAC and Shahr-i-Sokhta, so the authors of the study suggest that these outlier individuals were recent immigrants from the Indus Valley Civilisation who later migrated to BMAC. The scientists compared the Swat Valley samples from 1200 BCE to 1 CE with the outliers from BMAC and Shahr-i-Sokhta and what they found was revealing. While the Swat Valley samples were genetically very similar to the ancient outlier individuals, they also differed significantly in harbouring Steppe ancestry of about 22 percent. “This provides direct evidence for Steppe ancestry being integrated into South Asian groups in the 2nd millennium BCE, and is also consistent with the evidence of southward expansions of the Steppe groups through Turan at this time,” says the study. In the last centuries BCE the coast became important to the Greeks and Romans for its spices, especially black pepper. The Cheras had trading links with China, West Asia, Egypt, Greece, and the Roman Empire. In foreign-trade circles the region was known as Male or Malabar. Muziris, Berkarai, and Nelcynda were among the principal ports at that time. The value of Rome's annual trade with the region was estimated at around 50,000,000 sesterces; contemporary Sangam literature describes Roman ships coming to Muziris in Kerala, laden with gold to exchange for pepper. One of the earliest western traders to use the monsoon winds to reach Kerala was Eudoxus of Cyzicus, around 118 or 166 BCE, under the patronage of Ptolemy VIII, king of the Hellenistic Ptolemaic dynasty in Egypt. Roman establishments in the port cities of the region, such as a temple of Augustus and barracks for garrisoned Roman soldiers, are marked in the Tabula Peutingeriana; the only surviving map of the Roman cursus publicus.